Strings Attached is a NSW based, aerial-focused physical theatre company founded by Alejandro Rolandi and Lee-Anne Litton in 2006 which forms project to project. Strings Attached brings together artists whose common desire to create and perform innovative physical theatre that challenges and transforms their audience by reflecting upon the mystery of our human nature. Strings Attached has developed a strong focus in training artists in the company’s methodologies to create a safe and collaborative culture empowering the artist. 2019 brings the company into13th year of operation, since 2006 Strings Attached has collaborated with both with national and international companies including Younes Bachir (Spain), Touch Compass Dance Company (NewZealand), Cie Bivouac (France) and Backbone Youth Company (Brisbane, QLD) Circus Maxima (Mandurah WA). Strings Attached has presented works apart of Hoopla Festival, Rocks Village Bizarre, Underbelly Arts Festival, Sydney Fringe Festival, Backbone Festival, Carraigeworks program and Pact Theatre that estimated have had over 53 000 people see a show. In 2015 Strings Attached also opened a base of operation in the Hunter region of NSW where they develop new and unique methodologies around the use of originally designed apparatuses. 2019 has marked the beginning of Lee-Anne reconnecting with her roots as a regional artist originally from Mandurah, Western Australia and Alejandro Rolandi as an artist originally from Buenos Aries, Argentina. Personal relationships are at the core to the work Stings Attacheds makes, from the producers, collaborators and performers each person within the project are chosen because of the long term relationships Alejandro and Lee-Anne have developed with them over the history of the company. Lee-Anne Litton is a NSW based performance maker, physical performer and collaborator originally from Mandurah, Western Australia who has created and performed in works within the realms of dance, circus and physical theatre. With more than decade of professional experience, she cut her teeth with Legs on the Wall in 2005 and stepped into the role as Co-Artistic Director 2016/17. Holding the reins of the company led to the premiere/presentations of ‘Highly Sprung” apart of Art and About at Martin Place 2017, Bleach Festival 2017 , Sydney Festival 2018, Red Earth Festival 2018 and Santiago Mil 2019. Lee-Anne’s strong connection passion for the Sydney physical theatre community led her to drive the vision for the parachute grounds that LOTW manages and spear head the programs such as Spark incubation residency’s and Parachute Festival, to uphold Create NSW vision for the Lilyfield site. 2006 Lee-Anne was a co founder of Physical Theatre Company Strings Attached, leading them to their first major work “A Return to the Trees” 2012. Other works include: (2006) “The Foreign Installation” Pact Theatre. (2007) “The Experiment” a quirky show set entirely inside a big house, where the audience was immersed in the play, Sydney Australia. (2008) “Impermanence” as part of the Feet First emerging artist program, LOTW. “Sound in Motion” CarriageWorks. “2nd Storey” at Underbelly Public Arts Lab Festival, CarriageWorks. “The Ivory Tower” at Peat’s Ridge Festival. (2009 -2011) “The Ivory Tower” at Hoopla Festival, Darling Harbor. “OJO” Underbelly Public Arts Lab Festival, Cockatoo Island. (2012) “Aerial Dance Collaboration” with Touch Compass Co, Auckland New Zealand. “Levity” Platform Shorts, ACAC. (2014) “In Common” Platform Shorts, ACAC. “Opposite Tangents” Platform Shorts, ACAC. “Time and Landscape” Platform Shorts, ACAC. (2015) “Air Bourne” Village Bizarre, The Rocks. “Stuffocation” Creative Conversations Earth Hour, ACAC. (2016) “Unleashed” Seed Residency Program, Perth Western Australia. (2018) “Aerial Dance Collaboration” with French Company Cie Bivouac, Cirkidz Adelaide. 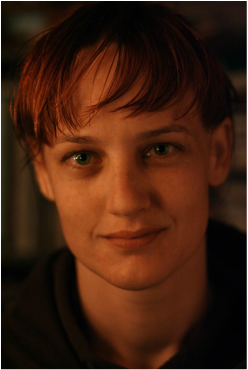 From 2010 Lee-Anne has been a collaborating artist with Immersive Physical Theatre Company Stalker leading her to perform nationally and Internationally in works “Encoded”, “Pixel Mountain”, “Creature: Dot and the Kangaroo”, "​Mountain", “Frameshift” both as choreographer and performer. Lee-Anne’s curiosity in the line between aerial performance and dance theatre, influenced by her strong investigation and passion for Contact Improvisation, informs her work both on the ground and in the air, giving her the opportunity to choreograph aerial-dance scenes for several large scale productions, both nationally and internationally. She has nurtured her interest in the poetical and expressive possibilities that arise from this combination, developing a strong technical practice that is reflected in her work as well as the classes she regularly teaches. Her teaching credits include; Strings Attached, Stalker, LOTW, Bangarra, SYDC, Force Majeure, NIDA, USNW, VCA, ACPE, Aerialize, Touch Compass Co, Dance Integrated Australia, InsideOutside Theatre. Lee-Anne is passionate about the framework of interdisciplinary thinking and creativity in regards to the challenge of climate and social change. Alejandro is a multi talented artist, maker, director, choreographer, multimedia designer and creative rigger originally from Buenos Aries Argentina. With more than decade of professional experience, Alejandro has worked with companies like Immersive Physical Theatre Company Stalker, Branch Nebula, Zen Zen Zo, LOTW, Sydney Dance Company, Shaun Parker, Nick Power, Force Majeure, Adelaide Festival, VIVID, ACPE, NIDA and the dance department of the UNSW. Alejandro was a co founder of Physical Theatre Company Strings Attached, leading them to their first major work “A Return to the Trees” 2012. Other works include: “The Foreign Installation” 2006, “The Experiment” 2007, “Impermanence”, “Sound in Motion” and “2nd Storey” 2008, “The Ivory Tower”, “OJO” 2009 -2011, “Levity” 2012, “In Common”, “Opposite Tangents” and “Time and Landscape” 2014, “Air Bourne”, “Stuffocation” 2015, “Unleashed” 2016, “Aerial Dance Collaboration” with French Company Cie Bivouac, 2018. From 2010 Lee-Anne has been a collaborating artist with Immersive Physical Theatre Company Stalker leading her to perform nationally and Internationally in works “Stultitia Humanum Est” “Encoded”, “Pixel Mountain”, “Creature: Dot and the Kangaroo”, “Frameshift”. (2010), Alejandro was apart of Stalker Theatre's creative team for there Colombian cross-cultural project in collaboration with the Bogotá Theatre Festival creating “Stultitia Humanum Est”. (2011), presented two Strings Attached works “The Ivory Tower” at Hoopla Festival and “OJO” at Underbelly Arts Festival. (2012) Alejandro directed and presented Strings Attached work “A Return to the Trees” at CarriageWorks. "The Ivory Tower" (Strings Attached), "A Return to the Trees" (Strings Attached), "Barrio"(Adelaide Festival), "Frameshift" (Stalker), "Highly Sprung" (LOTW), "Barrio"(VIVID Festival). Concrete and Bones (Branch Nebula), “Tale Salmanori” (LOTW), "Between Tiny Cities" (Nick Power). He has an ongoing investigation and choreographic research in Contact Improvisation that is constantly informing his choreographic practice and work as well as his classes. 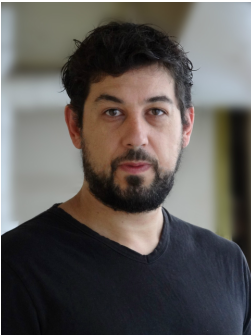 His teaching credits include; Strings Attached, Stalker, LOTW, Bangarra, SYDC, Force Majeure, ZenZenZo, NIDA, USNW, VCA, ACPE, Touch Compass Co.